PULLMAN, Wash. – Washington State University researchers have reverse engineered the way a pine tree produces a resin, which could serve as an environmentally friendly alternative to a range of fossil-fuel based products worth billions of dollars. Mark Lange and colleagues in the Institute for Biological Chemistry literally dissected the machinery by which loblolly pine produces oleoresin. Before the arrival of petroleum-derived alternatives in the 1960s, the sticky, fragrant oil-resin mixture was central to the naval stores industry and products ranging from paint and varnish to shoe polish and linoleum. Meanwhile, the international demand for oleoresins has risen. 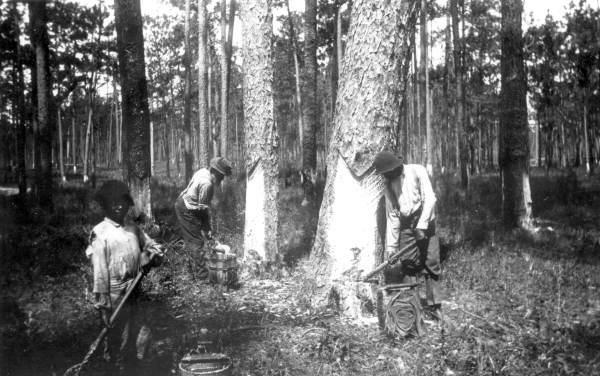 Naturally occurring oleoresins – from sources like loblolly pine – are often preferred. A 2016 analysis by Grand View Research predicted that global sales of oleoresin will approach $1.7 billion by 2022. The Lange lab’s discovery of how it is made “could inspire new engineering approaches for the production of renewable, green chemicals,” says Dutch biologist Harro Bouwmeester in a commentary accompanying Lange’s research in the Journal of Experimental Botany. As natural factories go, said Lange, plants are industry leaders. Humans, he said, produce roughly 3,000 metabolites, the small molecules that occur in human metabolism. In the case of the loblolly pine, oleoresin is a critical defense against insects and pathogens. While an animal can run from an attacker, a plant has to stand and fight. To do this, the pine produces oleoresins so toxic that the plant has to store them in specialized structures, called resin ducts, to keep from poisoning itself. To see how oleoresin is made, Lange concentrated on cells around the ducts, cutting them out with a laser-equipped microscope. “Essentially what you do is draw around the area that you want to cut out and then the laser follows what you’ve been drawing and blasts it off,” Lange said. Fittingly, Lange did this in WSU’s Franceschi Microscopy and Imaging Center, whose namesake, the late Vincent R. Franceschi, also studied resin ducts and their role in defending a conifer from pests. Lange compared cells near the resin ducts with cells further away, looking for the expression of genes that would trigger oleoresin production. Using the amplified genes from several thousand cells, Lange and his colleagues identified genetic sequences known to produce certain enzymes and matched them to reactions that could lead to the creation of oleoresin. With a better knowledge of the reactions, and their genetic underpinnings, researchers can screen trees for genes that make them better producers of the resin. Or they could replicate the resin-producing metabolic pathway in other organisms. “That could be an E. coli or a yeast, something of that kind, and then you can make specific chemicals from there,” said Lange. Lange’s coauthors are former postdoctoral research associates Glenn Turner and Justin Fischedick, research associate Amber Parrish and Ph.D. student Jordan Zager.